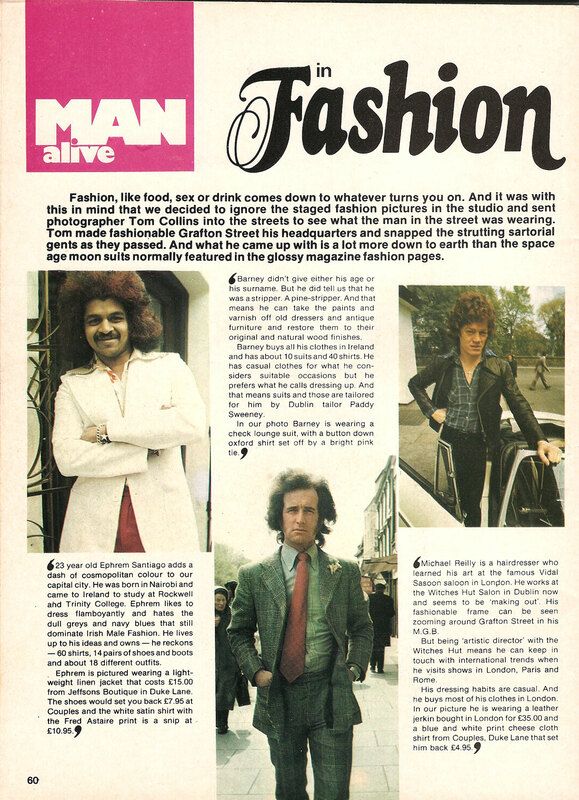 I intend to come back often to check on what your latest thoughts and views are on this ever changing niche of fashion. Men’s fashion is starting to become as competitive, if not more so, than women’s. The patterns are as varied and unique as those that wear them. Currently it’s not very hard for the men nowadays to find what they like, in addition to what fits their personality. Your site has provided some captivating items for consideration in the world of men’s fashion. 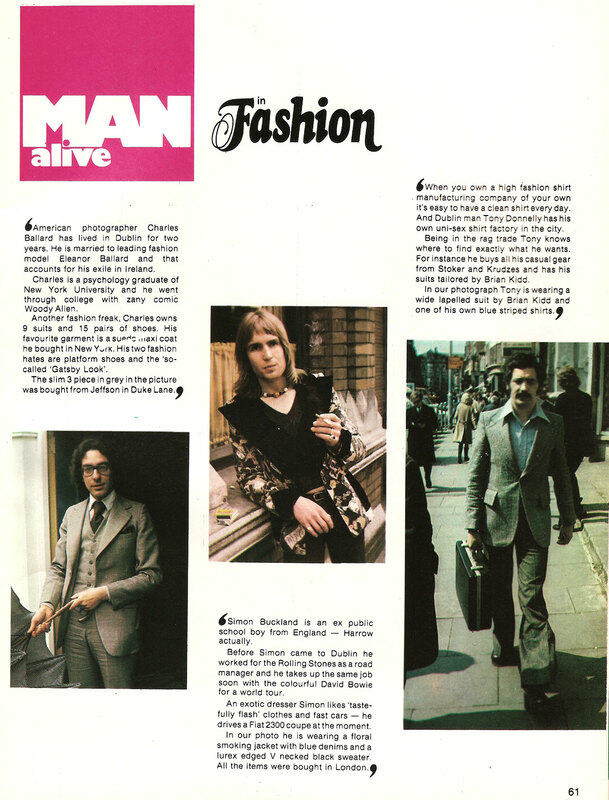 Hhmm…You are looking at the old JUNE edition of Man Alive. To get the REAL “captivating items”, shouldn’t you wait for the December issue? Just one look at Dublin man Tony Donnelly’s handmade suit above, illustrates perfectly the evolution of the “Snuggie”. Took almost 40 years but we got there. Would prefer to see the Pirelli calendar. Please scan it in. please can you scan Rita Murphy girl of the month issue 1 or 2, thanks in advance. Hi I am looking to buy this, had it over 40 years ago, or is there any way you can scan girl of the month and email it to me, means a lot for me as she was my friend, cheers, Paul. Will take a look Paul. Give me a few days but will get back to you. Hi Dubdoug, thanks for the reply, hope you can do this for me, regards,Paul. Paul!- sorry it took so long but I found issue 2. ( I had mislaid it) and Girl of the Month is Rita. Will scan over thhe weekend. Thanks for getting back to me looking forward to seeing it, cheers.